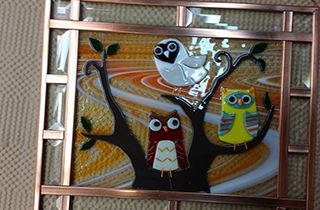 Learn how to Create beautiful stained glass Art! 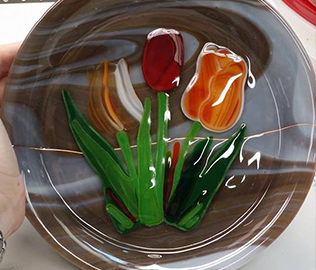 South St Gallery provides any number of classes that cover the many levels of stained and fused glass design and fabrication at the best rates. 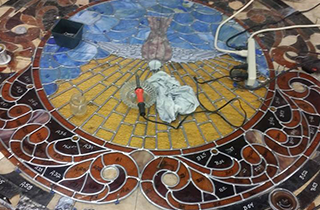 In addition to running our art school, we also perform stained glass and beveled crystal repairs on windows of all sizes, and sun catchers. Follow Your Heart. Feed Your Soul. Stained glass adds beauty to any home, office or place of business. It can be in many forms, from large, beautiful stained glass windows to stained glass lampshades, hanging accent pieces, dishes and sculptures. The beauty of light streaming through pieces of richly color glass cannot be beat. 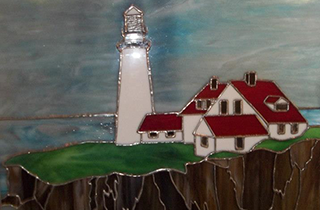 If you are considering an addition of stained glass to your home or office, we at South St Gallery can help you. We offer stained glass lessons for beginners and up. Creating your own stained glass piece is a rewarding action, and with our workshops which are administered by our professional, experienced teachers, you can see the objet d’art in your imagination become a reality. You will be proud of the piece of art you produce. 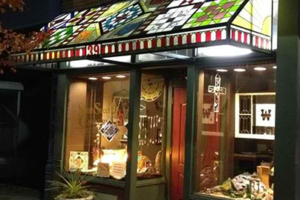 If you have an existing stained glass item in need of repair, South St Gallery is a reputable shop to bring your piece to. We will make your stained glass look like new, and we have the best rates in town. South St Gallery would be very happy to be a part of bringing the beauty of stained glass into your life; with a piece from our gallery, or with a creation of your own, brought to life by you here in our studios. We are among the foremost art institutes in the Wilmington, OH area. We offer art classes for all levels of experience at the best rates in our art studio. We have senior citizen art classes so we can help bring out the creativity in folks of all ages! We also perform art repair, painting restoration and art conservation. We can bring life back into your painting in a professional, experienced manner.